Handstand (Adho Mukha Vrksasana) is a challenging and exhilarating pose with many benefits for the body and the mind. 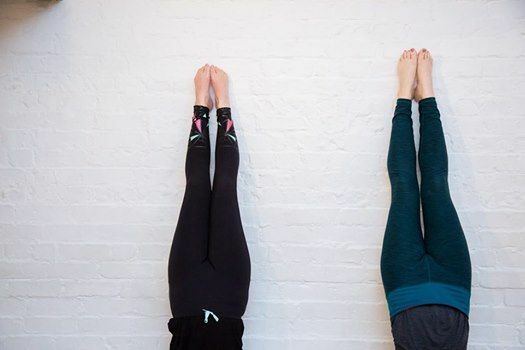 In these masterclasses you have the opportunity to work in detail with the specifics of handstand, to practice postures to strengthen and release the body to prepare for this pose and to find out where you need to work to develop your technique. You do not need to be able to do a handstand to come to this class, you will be taught the alignment, technique and preparatory poses to help you work towards this challenging pose. However if you already have a handstand practice you will be given the opportunity to take your practice further. You will work according to your energy on the day, you can rest at any time if you’ve had enough. There will be space and time towards the end of the class to wind down and lie over a bolster. This masterclass will run once a month (with a break for summer), view all dates. So you can regularly practice your handstands in a safe environment with an experienced teacher. These classes are not suitable for complete beginners to yoga, but are suitable for those with a regular yoga practice. If you are unsure, please contact us.